Opinion Should Albertans trust Jason Kenney? Should Albertans trust Jason Kenney? Jason Kenney’s plans to become the next premier of Alberta may be unravelling before his eyes. The head of the United Conservative Party is caught up in an emerging scandal that has the potential to topple his leadership. This, on the eve of a provincial election campaign expected to be called any day now. Whether the developments of the past 72 hours prompt Premier Rachel Notley to hold off on her decision remains to be seen. There is little doubt, however, that Mr. Kenney would prefer the race begin now, when he would have a better chance of shifting media focus away from the allegations of dubious ethical conduct and flat-out deceit now swirling around him and senior members of his staff. Until last week, questions surrounding the role Mr. Kenney may have played in the participation of a fellow candidate for the UCP leadership remained mostly intriguing. But on the weekend, a trove of documents and e-mails leaked to The Globe and Mail and a number of other media outlets changed the narrative of the story substantially. It stems from Mr. Kenney’s efforts to become leader of the UCP, a party formed by the merger of the Wildrose and Progressive Conservative parties of Alberta. His central challenger for the position was Brian Jean, the former leader of the Wildrose Party. Polls at the time suggested Mr. Jean was more popular among many conservatives than Mr. Kenney. It’s alleged a plan was hatched to have a candidate enter the race as a stalking horse – someone whose sole job was to attack Mr. Jean, hurt his profile within the party and elevate Mr. Kenney’s chances of winning in the process. (A so-called “kamikaze” candidate, a term accorded the role by a UCP operative who was secretly recorded discussing it.) That candidate is said to have been Jeff Callaway, who did join the race and went after Mr. Jean at every turn. He eventually dropped out, endorsing Mr. Kenney as he did. Mr. Callaway denies he was running to do Mr. Kenney’s dirty work, thereby allowing the eventual leadership winner to keep his hands clean. But the documents leaked on the weekend suggest otherwise. 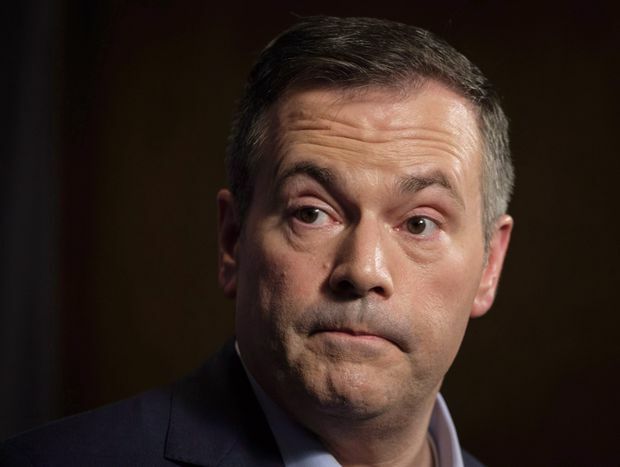 They include e-mails between officials from the Kenney and Callaway camps that cast serious doubt on the UCP Leader’s insistence that nothing untoward happened during the campaign. The documents show Kenney staff directing the Callaway team on overall strategy, including offering attack ads that could be used as well as political talking points aimed at undermining Mr. Jean. Far from being oblivious to any plot to have a candidate run as his human battering ram, it’s alleged Mr. Kenney attended a meeting at Mr. Callaway’s home in July, 2017, where the idea was born. Meantime, Maclean’s revealed on Monday allegations of a complex scheme to have a corporate entity donate $60,000 to the Callaway campaign to cover his entrance fee. The funding is then said to have been effectively laundered through the use of fake donors. The RCMP, who are looking into this whole matter, will no doubt be interested in learning more about this. For his part, Mr. Kenney continues to insist there is nothing to see here. He called it “normal” for officials from rival campaigns to communicate with one another. I can assure him there is nothing normal about the disturbing exchange of e-mails between his officials and those working for Mr. Callaway. Far from it. What it appears to reveal is a profound deceit, a slimy, underhanded ruse designed to tear down a fellow candidate for personal gain. If the plan is as it appears, and so far no one has given us reason to believe otherwise, it brings into question Mr. Kenney’s moral fitness for office. The UCP Leader’s response to questions about the matter have been dismissive at best. His strategy seems to be to talk fast and insist nothing happened. It’s an approach anchored in the belief that Albertans care more about the economy than they do about something that happened three years ago. I’m not sure how Ms. Notley can call an election while there are allegations as serious as these hanging over the head of her main political challenger. On the other hand, she might feel that this scandal gives her prime fodder with which to fight a campaign based on integrity and honesty in government. Either way, Mr. Kenney can’t be allowed to avoid answering the serious questions this sordid affair raises about his behaviour. And Albertans need to hear the answers before it’s time to vote.